Easter crafts are fun for everyone. Fun Christian Easter crafts are necessary for nearly every Sunday school teacher or children's church worker. When you have to come up with a craft every week, however, it can be almost impossible to feel creative enough to come up with one more new idea. How many children are you working with? From jelly bean rabbits and paper plate candy holders, to folded crosses that tell the Easter Story, Danielle's Place has excellent crafts for preschool children. Some of the crafts require that you become a paid member, but there are many other crafts on this site that are available to nonmembers as well. Easter coloring pages can be found here. There are coloring pages from every aspect of the Easter story. An Easter Unit Study complete with step by step instructions and crafts is available on this page. There are fun activities and recipes to keep your preschooler interested. If you have help, this He Is Risen card is a symbolic gift for children to give to their parents and friends. As children get older, they can do more complex crafts with less help. The craft still gives the child a deeper understanding of the lesson and helps them to remember important points. Allow plenty of time for children's craft time. Be aware that some children will need more help than others. A three dimensional cross paper craft is fun and can be done by children as young as three years with help. This stained glass cross made from crayon and waxed paper can hang in a window. 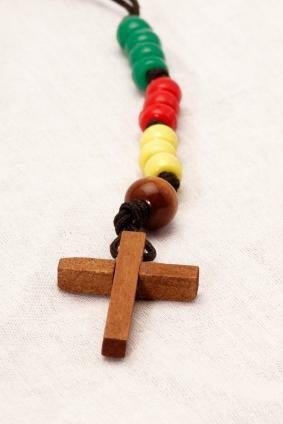 A cross made with pony beads is a great craft for older children. This palm leaf cross is an excellent craft for Palm Sunday. How sweet! A sugar cube cross is a quick craft. Younger children can do it as well, but there is glue involved. A stained glass window cross is a beautiful reminder of the meaning of Easter. You can print out this He has risen placemat and have students color it. It can then be laminated so it will last a long time. Color a sun catcher that says "He has Risen!" No matter what the ages of the children involved, it is important to keep lessons fun. Easter crafts help children to remember what they have learned. The crafts give them a sense of satisfaction because they have completed something. They also are helpful memory aids for the future. You never know what long term effect a simple craft may have on the life of a child.